Schedule Your Driving Test and Be on the Road in No Time at All! Getting your license is no small feat. In order to operate a motor vehicle, you’re required to practice driving behind the wheel with both a driving instructor and a licensed guardian. Not to mention, you’ll have to take a theory course to help you learn the rules of the road. As a new driver, you wonder if the day will ever come where you will get to put all of your knowledge to the test and receive your driver’s license. Luckily, when that day does arrive, MVD Express is here to lend a hand! Instead of waiting for hours at the MVD to get your license, only to wait even longer for it to actually arrive at your home, MVD Express gives you the option to schedule your appointment in advance, allowing you to get in, get out, and enjoy your freedom behind the wheel. Read on to learn about what you will need when you come to MVD Express to get your license and contact us to schedule an appointment today! You’re so excited to drive that you can hear the call of the open road while you sleep. You’ve completed your driver’s education course and have fulfilled all of your hours behind the wheel, and you are finally ready to enter the realm of infinite possibilities by obtaining your New Mexico driver’s license! This is such an exciting time for you and we’re happy to help you get on the road in no time. If you are under 24, you’ll also have to complete the “None for the Road” course and bring in your certificate of completion. You must take and pass the written test before you take the road test. You can schedule your appointment at locations in Albuquerque or Santa Fe. We are unable to schedule road testing for handicapped individuals. 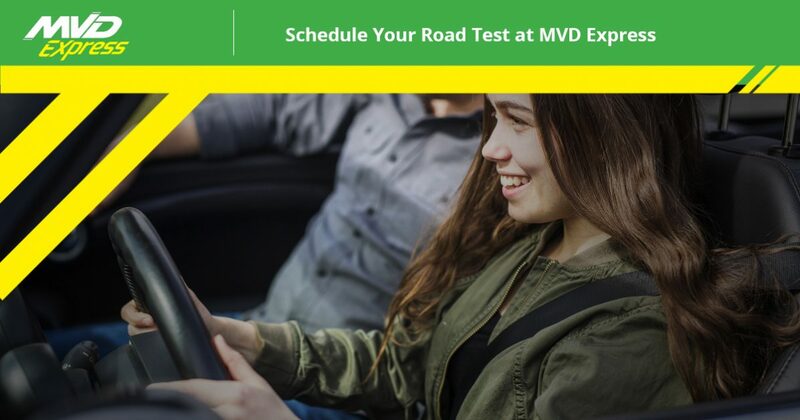 Once you are ready to take your test, contact MVD Express to schedule an appointment. With more than 10 locations across New Mexico, it’s easy to find an MVD Express that is near you. Our goal is to make your appointment with us as stress-free and pleasant as possible, encouraging you to come back to us for all of your MVD needs. No matter what service you’re looking for, you’re sure to find it at MVD Express. Are you ready to get on the road and start driving? Don’t waste your time waiting in line at a traditional MVD. Learn more about what we can do for you on our website, and be sure to give us a call when you are ready to schedule your appointment. Good luck and happy driving!